The Amazon Echo Show starts shipping in about a week, so Amazon is ramping up announcements surrounding the device’s capabilities. 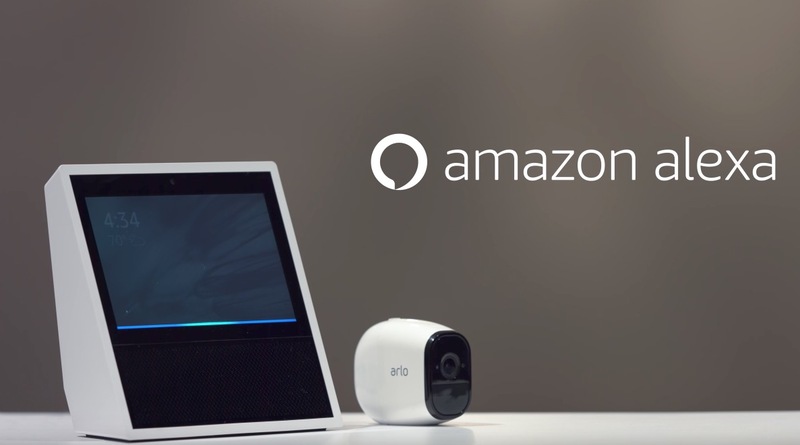 Through a string of blog posts today, Amazon showed off how some of your smart home products (specifically your smart cameras) will be able to take advantage of both Alexa and the screen in the Show. Ring and Arlo were two companies featured as those who are getting their products ready for the Show’s launch. Each showed off the simple commands you’ll be able to speak to the Show to get an instant feed from your cameras on its screen. For Ring, that could mean quickly pulling up a feed from your front door as you get a notification of motion or it ringing. For Arlo, that could mean asking for a live feed of a specific camera, like your kid’s bedroom or backyard cams. This type of integration is pretty slick. Now, I know it’s going to take some time before the combination of Alexa and a screen is fully realized, especially on the Show’s arguably off-putting design and lack of portability, but these are the types of features that could make for a really powerful smart home centerpiece. Assuming others continue to build out their support, Amazon’s lead in the category should only expand. Remember, the Amazon Echo Show is up for pre-order and ships by June 28. You can still get $100 off the 2-pack of them too, just use code “SHOW2PACK” at checkout.